Les internationaux de France de Roland-Garros or Tournoi de Roland-Garros named in English “The French Open”, often referred to as Roland Garros, named after the famous French aviator Roland-Garros, is a major tennis tournament supervised by the Fédération Française de Tennis (FFT) held over two weeks between late May and early June in Paris, France, at the Stade Roland Garros. Roland-Garros tickets (Billetterie Roland-Garros) or also called French Open Tickets are available here at EasySportsTickets.com. It is the premier clay court tennis tournament in the world and the second of the four annual Grand Slam tournaments – the other three are the Australian Open, US Open and Wimbledon. Roland Garros is the only Grand Slam held on clay and ends the spring clay court season. It is one of the largest events in tennis and by far the largest clay-court tournament. Because of the slow playing surface and the five-set men's singles matches without a tiebreak in the final set, the event is widely considered to be the most physically demanding tennis tournament in the world. Clay courts slow down the ball and produce a high bounce when compared to grass courts or hard courts. For this reason, clay courts take away some of the advantages of big serves and serve-and-volleyers, which makes it hard for serve-based players to dominate on the surface. The French Open – Roland Garros tickets are only few clicks away, we will deliver the Roland Garros Tickets to your home or Hotel address prior to the Tennis match. Get your French Open tickets now and join the thrilling festival atmosphere. 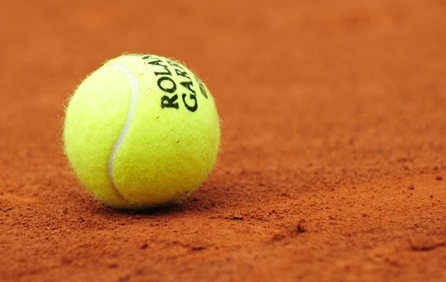 Order Now Securely Your French Open - Roland Garros tickets and Get in the Game. Get Best Value French Open - Roland Garros Tickets.